Firefighters quickly put out a fire at a home in City Heights Monday. 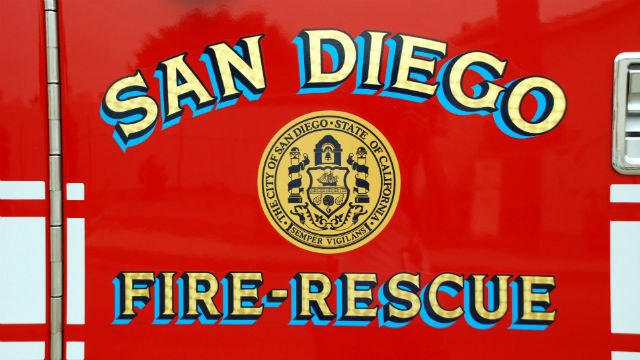 The fire at a home near the intersection of 45th and Dwight streets was reported at 3:40 p.m., according to the San Diego Fire-Rescue Department. Crews responding to the blaze found fire coming from the back of the home’s garage, San Diego Fire-Rescue Battalion Chief Dave Pilkerton said. The fire was out about 12 minutes after it was first reported, he said. Pilkerton said he had no information on whether anyone was home at the time of the fire, and a damage estimate wasn’t immediately available.